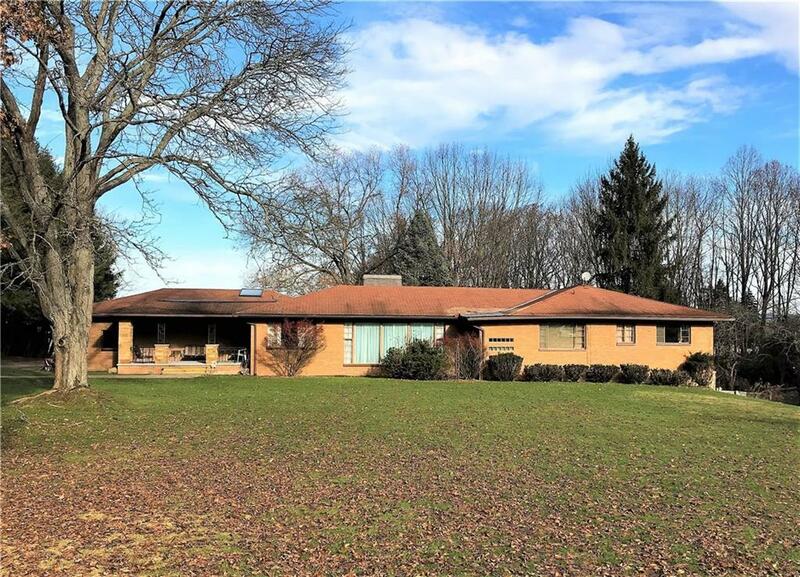 Gorgeous Mid-Century-Modern-style brick ranch on almost 4 acres with awesome lake views! Architect-designed, & lived in & loved by the same family since its construction in 1956, the house is a prime example of the popular mid-century-modern design movement, with clean lines, large, open spaces, functional layout, lots of wood & brick, & a pleasing harmony between the house & its natural surroundings. 4 bedrooms & 2 full baths on main floor. Bedroom & bath downstairs--ideal for in-law suite/office/studio/man cave. Basement is huge & dry, with plenty of useable living space & storage. Large private back yard invites festive evenings on the back deck overlooking Chautauqua Lake, or sunny days by the pool. Great location close to shops, businesses & activities. Desirable school district. Directions To Property: Hunt Rd., 4 Houses Down From Southwestern School.